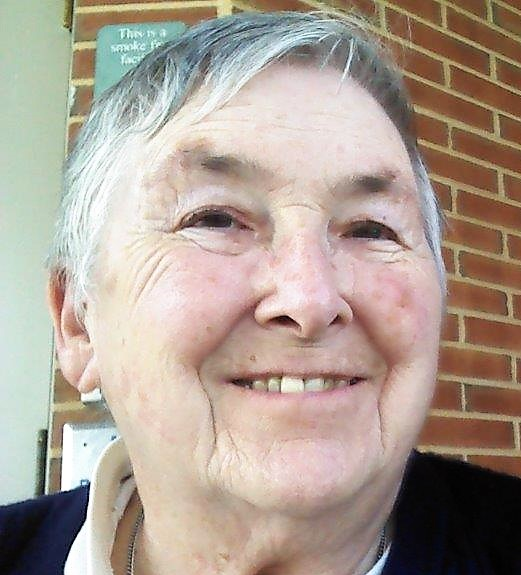 Mary E. (Klosinski) Guld, 86, of Orwigsburg, PA, passed away Tuesday, February 5th, peacefully, at Seton Manor, Orwigsburg. Mary was born in Pottsville, PA on December 1, 1932, a daughter of the late Elizabeth (Kepko) and Frank Klosinski. She was the wife of George J. Guld. Mary was a member of St. Ambrose Roman Catholic Church, Schuylkill Haven, St. Helena's Roman Catholic Church, Philadelphia, Albrightsville Fire Company, and Tweedle Needle Sewing Club. She enjoyed bike riding and ice skating. Mary stuided at St. Agnes School of Nursing, where she eventually became a Registered Nurse. She was employed as a Registered Nurse at Saint Agnes Hospital, Philadelphia. Mary is survived by a daughter, Mary L. Guld, of Montgomery County; two sons, George M. Guld, husband of Cecilia, of Bucks County; Thomas J. Guld, husband of Pamela of Delaware County. Mary is also survived by two sisters, Agnes Gallen, and Susan Klosinski, three brothers, Frank Klosinski, Edward Klosinski, and Steven Klosinski. She is also survived by 5 Grandchildren, 8 great-grandchildren. A Mass of Christian Burial will be celebrated at at St. Ambrose Roman Catholic Church, Schuylkill Haven, PA, on Monday, February 11, at 10:30 with Rev. Msgr. William Handges officiating. A visitation will be held Monday 9:15 - 10:15 AM. at St. Ambrose Roman Catholic Church, Schuylkill Haven. Interment will be held at Holy Sepulchre Cemetery, Philadelphia. Memorial contributions may be made to Children's Hospital of Philadelphia, 3401 Civic Center Blvd. Philadelphia, PA 19104. Please include "In Memory of Mary Guld" on the memo line. Geschwindt-Stabingas Funeral Home, Inc., has been entrusted with arrangements.